These gorgeous 15 month old brothers are devoted to each other. 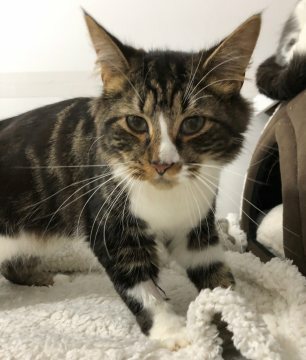 Elmo is a short haired grey and white and Ernie is long haired tabby and white, they are both very friendly and affectionate and love lots of attention. 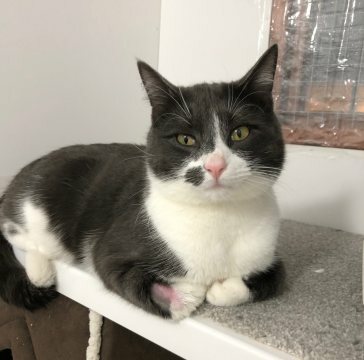 Elmo loves bird watching and is a bit more inquisitive than Ernie, both are litter trained but are currently having some cat flap training at their foster home. Would be suited to most homes including homes with children over the age of 4/5 years. They have lived with dogs in their previous home.